Join us as we explore Dublin and reveal why the capital attracts so many expats and what types of property you can secure for your budget. There are many reasons to relocate to Dublin. The economy of the whole country is growing at a rapid rate, there’s beautiful scenery just outside of the city, friendly people, wonderful culture – and you’re close to the sea! 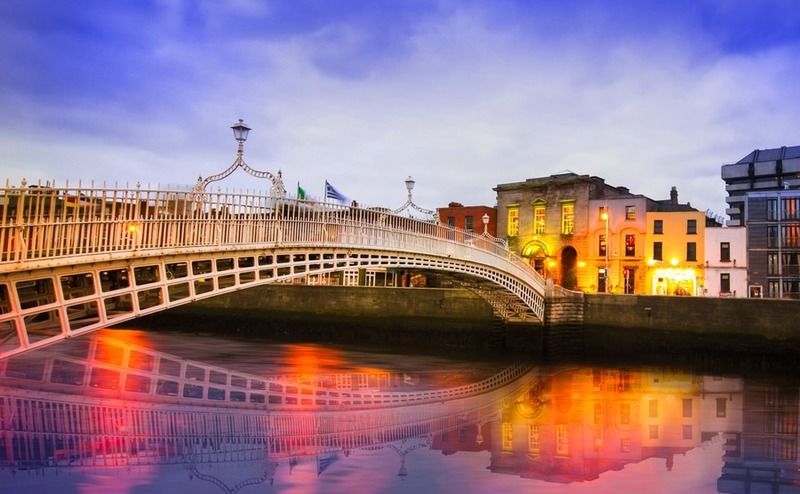 Dublin offers up the country’s best shopping, theatre and live music. It’s well-connected via public transport, making weekend getaways nice and easy. You’ll also enjoy excellent food, great golf and world-class education. At present Brits are entitled to the same public healthcare as Irish citizens and there’s no need to prove you have sufficient resources not to be a burden on the state. Plus there’s no language barrier – well, for the first few pints of Guinness at least! Currently close to 300,000 Brits are living in Ireland, many of whom have chosen the nation’s capital. Who does Dublin appeal to? 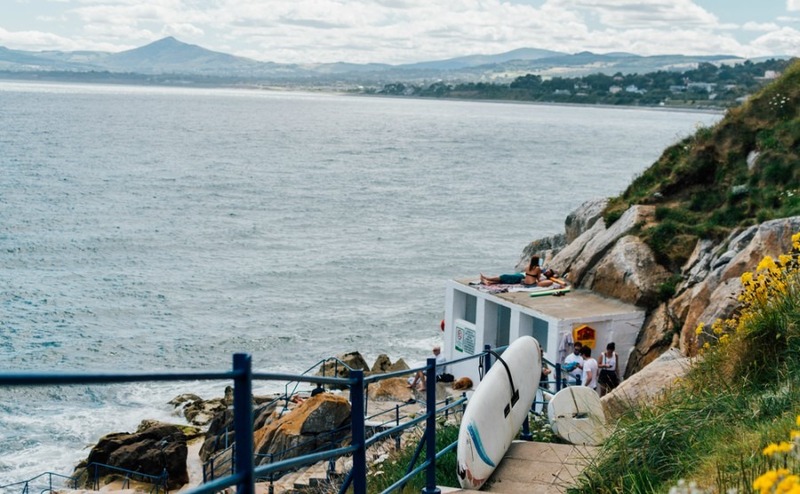 Retirees and holiday homes buyers seeking a slower pace of life, but still within an exciting city, are setting their sights on Dublin – particularly its seaside suburbs. Brits who move permanently to Ireland are still entitled to a full UK state pension, which increases in value each year in line with the UK consumer price index, average earnings, or a rate of 2.5% – whichever is highest. It’s easy to get to and from the UK without breaking the bank, so you can visit friends and family whenever the mood takes you. Young, skilled professionals are being enticed to Dublin in their droves. Not only will gaining Irish residency allow them to remain members of the EU, but job opportunities are plentiful, and the cost of living remains cheaper than London. Low corporate tax rates have attracted a lot of the world’s biggest corporations to Dublin. Over the last couple of decades, Ireland has received over $277 billion in US direct foreign investment. The American Chamber of Commerce has revealed that 700 US companies based in Ireland now employ more than 130,000 people. Major firms found in Dublin include Facebook, Paypal and there’s now even a ‘Google Quarter’ in south-central Dublin. The opportunities don’t look to be drying up any time soon – at last year’s World Web Summit, the IDA and the Irish government announced that a further 1,000 technology jobs will be imminently created, the majority of which are with US firms. All of these young professionals will need a place to live – making Dublin an excellent choice for buy-to-let investors! Will you be calling Dublin home in 2018? Currently close to 300,000 Brits are living in Ireland, many of whom have chosen the nation’s capital. There are more Brits living in Ireland than there are living anywhere else in the EU, bar Spain. Finding fellow Brits to share a pint or a coffee with won’t be tricky – if you don’t meet a couple at work, you’ll certainly meet them at your local pub. There are a range of excellent social groups for Brits in Dublin – check Facebook and Meetup.com for a start. Cost of living in Dublin remains 1.20% lower than London, making Dublin the 41st most expensive city in the world. Before rent, a family of four living in Dublin need to budget around €2,970 (£2,619) per month. A single person living in the city will need to set aside €825 (£727) for living costs before rent. There is a housing crisis going on in Dublin at the moment due to lack of demand pushing property prices up. To meet the underlying housing demand, Ireland would need to build 50,000 homes per year. Having said that, property prices still haven’t reached the same levels as they were pre-crash – currently Dublin prices sit at 87% of what they were in 2013. The Irish Central Statistics Office (CSO) has revealed data showing that Ireland’s rate of property price inflation now stands at 13% year, and that prices nationally have increased by 70% since the post-crisis low. This is relatively good news for those wanting to buy – prices are creeping up, but they remain below the price of property in the UK and there are some serious bargains to be found if you know where to look! If you plan on renting initially while you scope out the area’s you’re most fond of, be sure to budget €1,465 (£1,300) per month for a central one-bed property and a minimum of €1,600 (£1,410) per month for a two-bed apartment. Outside of the city centre, a one-bed is likely to set you back €1,187 (£1,054). A central three-bedroom property will cost €2,600 (£2,310), and outside of the city centre €1,952 (£1,733). Dublin rents are now 23% higher than they were at their 2008 peak. If you want to buy a two bed, you’re unlikely to find anything for less than €350,000 (£308,650). Although prices haven’t yet matched pre-crash highs – it’s predicated that they will do so within a year. 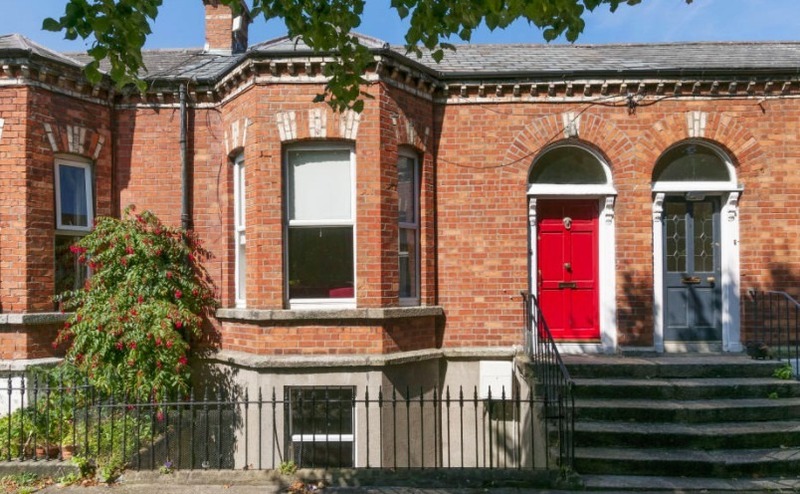 For a three-bedroom, semi-detached property in Dublin, you’re looking at a price tag of €518,000 (£457,000), which is more than double the national average, of around €254,000 (£223,990). If you plan to invest in buy-to-let property, you’ll be pleased to hear that for the last two years, Ireland has topped the EU buy-to-let league table. If you plan to invest in buy-to-let property, you’ll be pleased to hear that for the last two years, Ireland has topped the EU buy-to-let league table. The nation has the highest rental yield in Europe (7%), followed by Malta, Portugal, The Netherlands and Slovakia. The UK, by contrast, is in 25th place! The average rent for a one-bed apartment across Ireland is £12,000 per year. While Cork, Galway and Limerick are all excellent options for buy-to-let investors, Dublin takes the number one spot in the country. If you snap up a central one-bed apartment for around €200,000 (£177,700), you’ll be able to rent it for €1,380 (£1,266) a month. This earns you a gross rental yield of 9.35%. If you invest in something a little further out of town, you can find one-bed’s for €180,000 (£158,670), and can charge rent of €1,300 (£1,145) – amounting to a gross rental yield of 8.7%. Just a short stroll from the centre of Dublin you’ll find Portobello. A cosmopolitan neighbourhood with lots of excellent dining and drinking options, making it an excellent spot for a savvy buy-to-let. If you’re moving to minimise your commute, the suburb’s location makes it perfect for those wanting to walk or cycle to work. 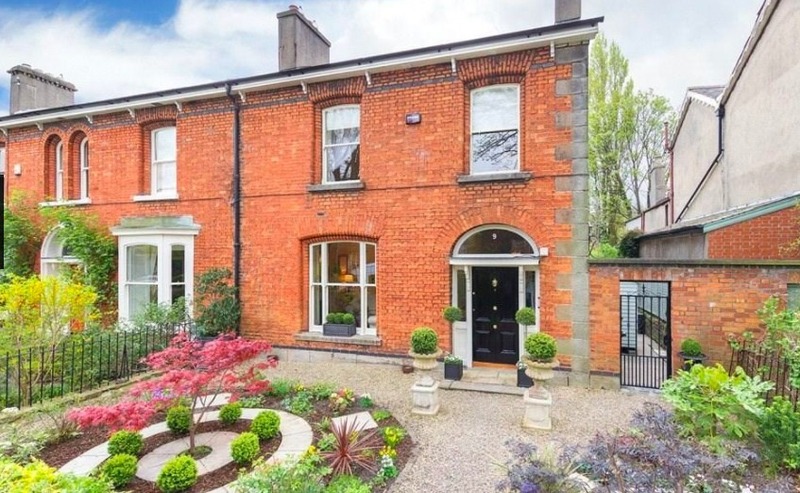 Ballsbridge is a great option for those who want large properties with gardens, privacy and sufficient parking, without having to be a million miles from town. If you’ve moved for work and are receiving a housing subsidy, this is an excellent option to suggest. Donnybrook is another good option of a similar ilk. This gorgeous four-bedroom end-of-terrace property has high ceilings throughout and has retained many of its period features, including marble fireplaces and sash windows. There are landscaped front, side and back gardens to enjoy. The property is on the market for €1,900,000 (£1,688,739). Ranelagh is an upmarket suburb full of peaceful residential areas and lovely parks. It’s a popular spot with executive families who enjoy a nice place to grab a bite to eat, just a short 10-minute bus ride from downtown. This seaside village has a vibrant nightlife to rival Dublin. It’s great for those who prefer a house over an apartment and want to spend their holidays (or new life) dining at excellent restaurants serving up the day’s catch. The town is just 20-minutes from the centre of Dublin. Dun Laoghaire is another option if you’re in the market for a charming seaside town. This three-bed detached property has a lovely conservatory and garden area, is located right by the beach and is on the market for €825,000 (£733,268). Rathmines was recently voted one of the best places to live in Ireland due to its recent resurgence as a cool suburban alternative to the city centre. 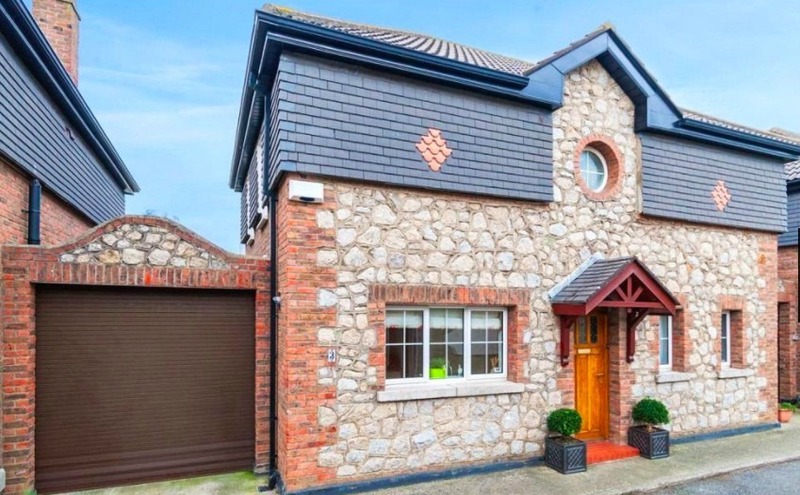 This Dublin suburb was recently voted one of the best places to live in Ireland due to its recent resurgence as a cool suburban alternative to the city centre. Rathmines has its own High Street lined with great vintage stores and a wealth of trendy restaurants and bars – making it a popular choice with singles and young professionals. Other fashionable neighbourhoods include Smithfield, Phibsborough, Drumcondra, Stoneybatter, Sundrum, Rathgar and Ringsend. It’s easy to get to Dublin no matter the time of year. Plus, more often than not, flights are a bargain! There are over 40 flights a day from the UK throughout the year. It takes around an hour and a half and if you book far enough in advance, you can secure tickets for as little as £9.99 one-way. From Dublin, you can fly to destinations all around the UK. If you fancy a train/ferry combo, you can get a train from London to Fishguard in Wales and then hop on a ferry that takes you to Dublin. This ticket usually costs around £34 one way. 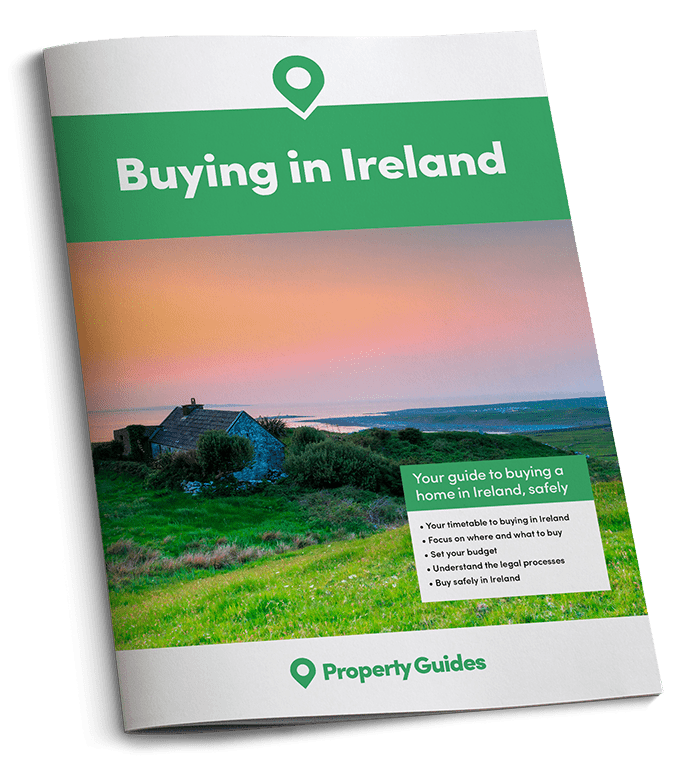 If your plan is to invest in buy-to-let property in Dublin, always check that the property you’re considering buying isn’t located in an area where rent is controlled. Originally rolled out for Dublin and Cork, the new system means rent can only be raised by a maximum of 4% a year in those areas, at the time of its next review. Dublin schools are excellent but the best tend to be over-subscribed. Contact potential schools for your children to get on the waiting list as early as you can in the emigration process.